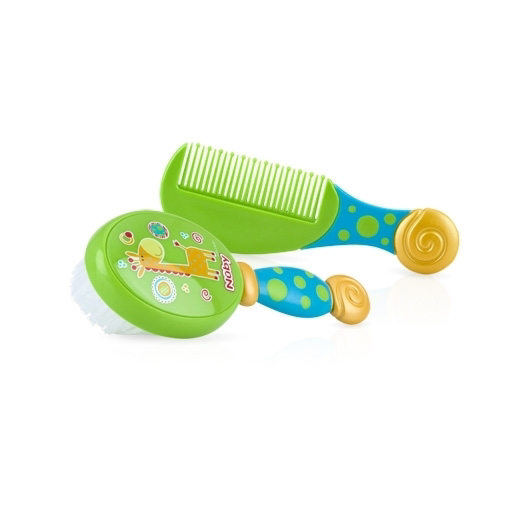 This Comfort Grip™ Comb & Brush set by Nûby™ was designed especially for baby. The nylon bristles of the brush are soft and gentle to baby’s tender scalp. Both the brush and comb are sized for baby’s needs, but are comfortable for an adult to use.